Sourav Ganguly, the former India captain, has picked Cheteshwar Pujara to be India’s No. 4 at the ICC Men’s Cricket World Cup 2019 in England and Wales. India's No. 4 position has been a highly contentious topic in the build-up towards the World Cup, with team management still trying to find a fix. Ambati Rayudu was briefly believed to be the one to plug the hole, but his poor form in the ODIs against Australia has upset those plans, and he is no longer a shoo-in for the event. India even tried playing Virat Kohli at that position during the Australia series, in a bid to give the returning KL Rahul some game time. 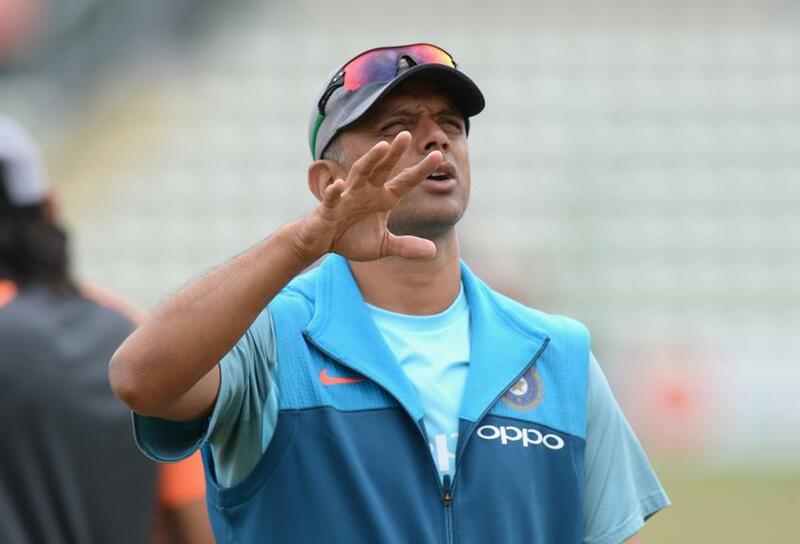 The Indian captain has stated in the past that he is open to moving down the order if the need arises, although the probability of that happening is next to none. Multiple names have been brought up as potential candidates, but Pujara was never one of them. Ganguly acknowledged that he was making a highly unconventional pick, but offered his reasons for doing so. “See, I am going to say something that might not sound believable to many viewers, and a lot of people might laugh at my suggestion,” he told India TV. “But for me, Cheteshwar Pujara should be India’s No. 4 in ODIs. If you want a quality batsman who is better than the options India has tried of late, I think Pujara is the best choice. Pujara’s stock has taken a sharp rise ever since his series-defining performance in Australia, where he was India’s lynchpin as they won a Test series in the country for the very first time. About a month later, Pujara stunned the world when he slammed his maiden T20 century – a 61-ball 100 for Saurashtra against Railways in the Syed Mushtaq Ali Trophy, India’s domestic T20 competition. Citing the example of Rahul Dravid, whom Pujara has often been compared to, Ganguly said India would benefit from the solidity that Pujara offers. Ganguly captained Dravid while he was still deemed an unlikely starter in India’s ODI XI. Dravid went on to play 344 ODIs and score over 10,000 runs and was a part of the team that made it to the final of the ICC Men’s Cricket World Cup in 2003.